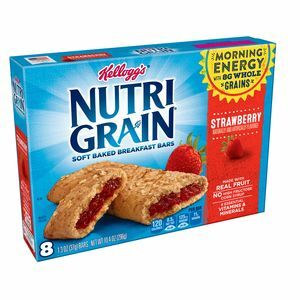 I recently discovered that Nutri-Grain bars smell EXACTLY like Nutrena’s Grower/Finisher Pig Feed (conventional hog feed). This has been confirmed by 4 other people. Moral of this story: If you don’t like the idea of eating hog feed designed to fatten hogs, in bar form, I’d give up nutri-grain until you are sure.